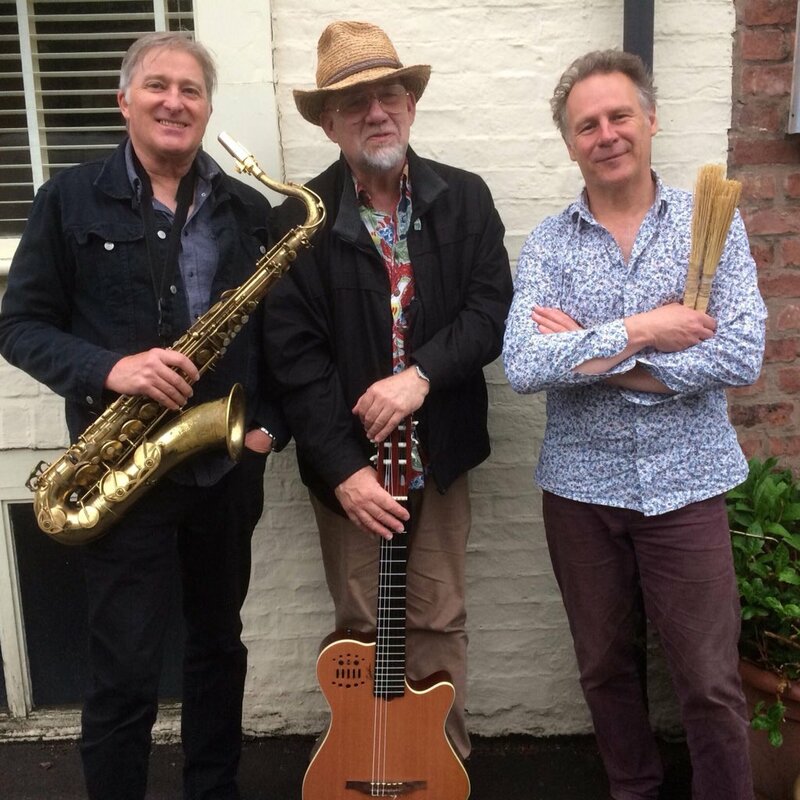 Lunchtime jazz at The Wightman Theatre continues into July, with a concert by the Howard Bragen Trio on Saturday 14th. Howard Bragen has been a musician since the early seventies working in Britain and on the continent as well as being a regular at London’s Marquee Club. He’s appeared on radio and television and played at The Reading Festival. Essentially a singer and songwriter, Howard has recorded four albums: The Rothko Room, From The Edge To The Weir, D Samba and Looking At Now Through Then. In his guise as The Logfather he is also responsible for creating the Logjam brand of percussion instruments. Two excellent local musicians – Casey Greene, saxophone and flute and Nigel Elliott, percussion – make up the trio with Howard Bragen and together they generate a 1970s’ style jazz groove. The Howard Bragen Trio concert at The Wightman Theatre starts at 12 noon on 14 July and is free to attend. Picture (credit – Tessa Kirk): (left to right) Casey Greene, Howard Bragen and Nigel Elliott – The Howard Bragen Trio.